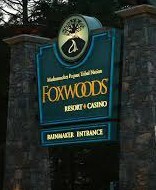 I always felt that Foxwoods Website was difficult to get around in. Well, Foxwoods has just changed the look of their website – and I think it is much improved. On the home page you are greeted with coloful icons to start your journey. It has a much more modern look to it and negotiating around it is easier, especially for the menu items at the top. Hotel, Restaurants, Shopping & Entertainment have great drop down menus to take you where you want to go. Additional menu items such as Activities and Social highlight the non-gambling part of Foxwoods well, and keeps you connected on social media. A great addition is a connection to one of my favorite video poker websites – VideoPoker.com. VideoPoker.com was launched in 2004 and is currently the number one Web destination for people to practice and play authentic video poker games. People love the site because it’s the only place they can play real video poker games found in casinos. No other site can make that claim. Games include all the most popular single-hand games like Jacks or Better and Double Double Bonus Poker, as well as multi-hand favorites like Triple Play Poker, Super Times Pay Poker and Spin Poker. VideoPoker.com is a legal, non-wagering Web site. No gambling takes place on VideoPoker.com. People play and practice so they can improve their chances of winning in casinos – or just play for fun! There are free contests where people can win cash and prizes, but because the contests are free to enter, it is not considered online gambling. The option at the Foxwoods is Ultimate X VP. If you like it, click on the VideoPoker Logo and check out the site. Remember the option to play FoxPlay – their online casino that you can win prizes in daily, weekly & monthly slot tournaments, much like the social gaming sites like myVegas and Heart of Vegas. Table games, and keno are also available. So check it out. Make it an adventure.